Ideal for intermediate learners of English looking to improve or practise their English. The book is filled with useful vocabulary that is carefully graded and easy to understand, it also comes with audio, so that you can listen to the story at the same time as reading. Christmas is humbug, Scrooge says – just a time when you find yourself a year older and not a penny richer. 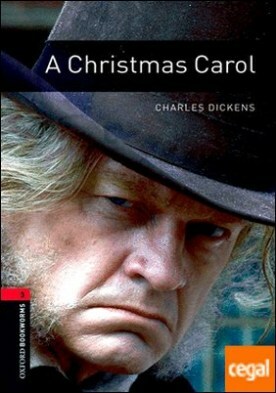 The only thing that matters to Scrooge is business, and making money.But on Christmas Eve three spirits come to visit him. They take him travelling on the wings of the night to see the shadows of Christmas past, present, and future – and Scrooge learns a lesson that he will never forget.